Motherwell will take on Celtic in this Sunday's Betfred Cup final at Hampden Park, wity the Lanarkshire side bidding to win the competition for the first time since 1950. The Fir Parkers have had a tough route to the final, seeing off Queen's Park, Morton, Edinburgh City and Berwick Rangers to win Group F and qualify for the second round where they then won 3-2 at Ross County after extra time. The Steelmen thumped Aberdeen 3-0 in the quarter-finals before disposing of Glasgow giants Rangers 2-0 in the semi-finals. Our info graphic (pictured) shows you a round by round summary of how the Steelmen reached this weekend's showpiece. 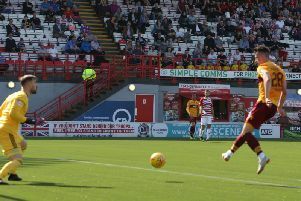 The Motherwell Times will tweet live updates from Sunday's final, quietly confident that the the Steelmen can inflict a first domestic defeat in 65 matches on Celtic.